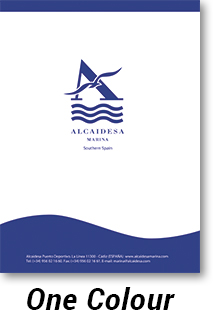 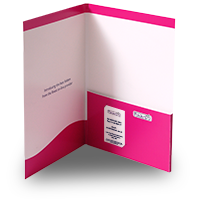 An 8 page oversized A4 brochure, with pocket to the inside back cover. 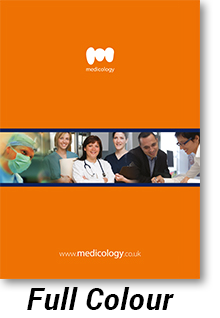 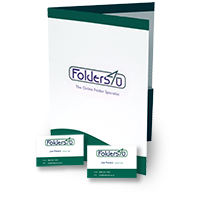 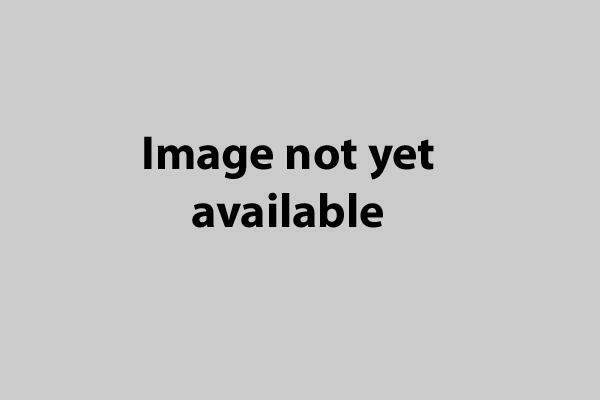 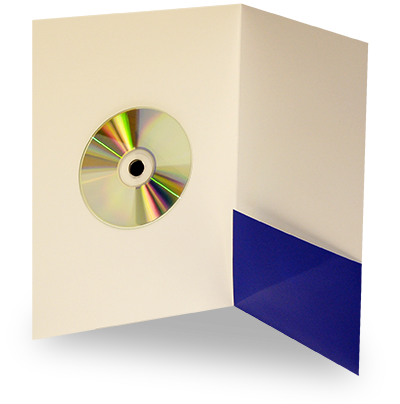 This is one of our most popular A4 folder formats with a bound-in 4 page section. 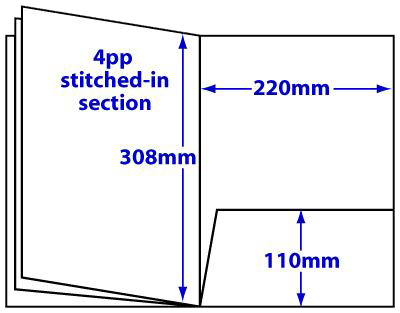 The inner section is wire stitched with 2 staples. 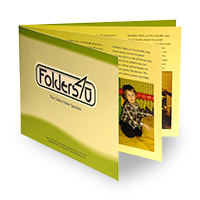 This is an excellent solution when you have a large amount of information and images to present, providing ample space for printing, whilst the pocket can accommodate additional loose inserts - eg price lists, application forms etc. 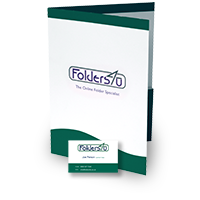 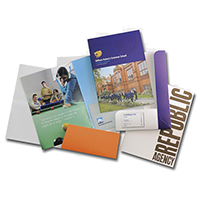 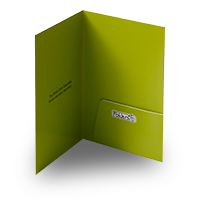 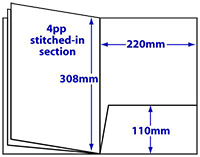 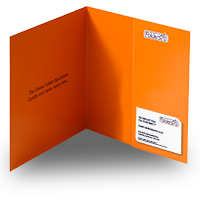 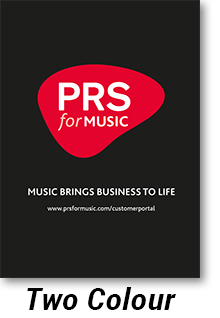 The folder has options for 85x55mm business card slots, in either landscape or portrait formats - see the PDF template for more details. 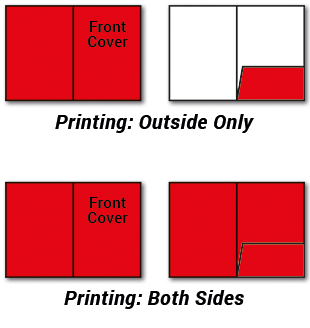 Please note: lamination options apply to the cover section only.